Much can be said about who the antichrist is and what he might be like. But let's go straight to the Scriptures for the simplest definitions of the term. We find the word only in the writings of the Apostle John. The Greek word term ἀντίχριστος is transliterated as "antichristos." 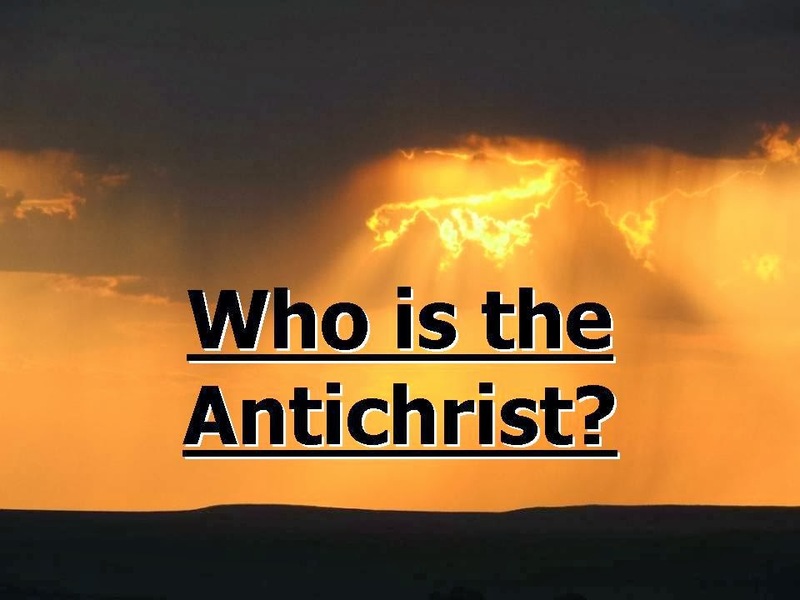 That is where we get the English word "antichrist," the one who is known as "the adversary of the Messiah." Only three brief passages in the entire New Testament contain descriptions of the antichrist and his spirit. Let's take a quick look at all of them. 18 Children, it is the last hour. And as you have heard, “Antichrist is coming,” even now many antichrists have come. We know from this that it is the last hour. 22 Who is the liar, if not the one who denies that Jesus is the Messiah? This one is the antichrist: the one who denies the Father and the Son. In our first passage, we see that being antiChrist refers to a rejection of the belief in the unity of the Father with the Son and the Son with the Father. One cannot believe in the Father only, or in the Son only. One must believe in both equally because, as Jesus said, "The Father and I are One." (John 10:30). In short, the antiChrist rejects the teaching of the Trinity. 2 This is how you know the Spirit of God: Every spirit who confesses that Jesus Christ has come in the flesh is from God. 3 But every spirit who does not confess Jesus is not from God. This is the spirit of the antichrist; you have heard that he is coming, and he is already in the world now. 7 Many deceivers have gone out into the world; they do not confess the coming of Jesus Christ in the flesh. This is the deceiver and the antichrist. So, if you deny that the Father and the Son are one God, or if you reject the fact that Jesus Christ is God, then by biblical definition, you are antichrist, an adversary of the Messiah. The good news is that there is still time to repent and seek the Lord's forgiveness for rejecting Him (text in brackets mine).